Does it feel like there are just too many video game sales these days? GoG.com doesn’t appear to think so. Just days after the conclusion of the Steam Exploration Sale sees the return of the GoG Big Winter sale with more budget bundles and daily deals. 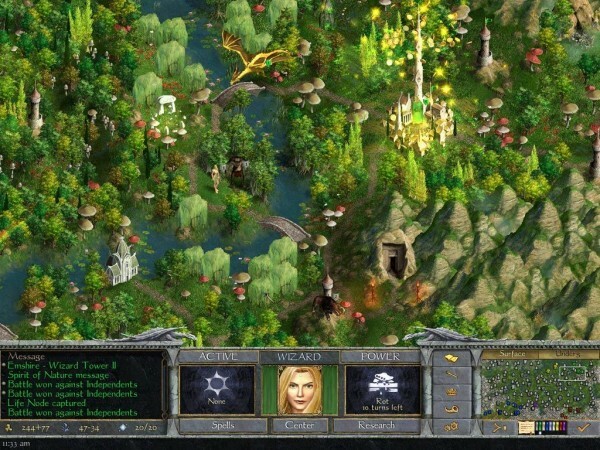 It is also giving away a classic turn based strategy game in Age of Wonders. GoG is also doing a 48-hour Frost Flash Frenzy which will see some 30 daily deals appear per hour. It may feel a little overwhelming for those of use with other things to do than sit in front of a computer waiting to save a little money on older games. Because GoG is run by Witcher developer CD Projekt Red, there is the now traditional Witcher bundle going for an 85-percent discount. Of course, this really doesn’t mean much to those who managed to get The Witcher 2 for free from the last sale that just ended two weeks ago. This might mark the moment when we have had far too many sales for video games. When was the last time anyone had to play full price for one of these? On a side note, Electronic Arts is also running a sale on Origin until 12 December.